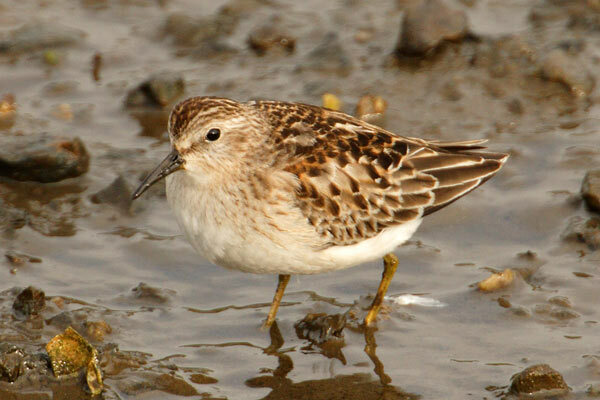 Another Nearctic species which due to its size is similar to Stints rather than other Calidrid Sandpipers, although all are of the same genus. Breeding across Arctic Canada and as far south as Nova Scotia and even Massachusetts, it winters from southern USA to the northern half of South America, and is indeed the smallest wader in the world. 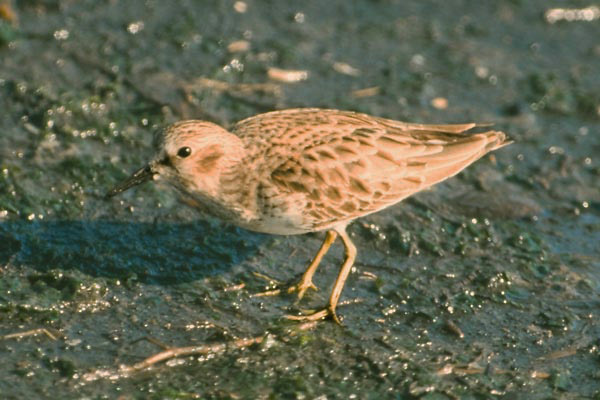 Its closeness to Long-toed Stint resulted in Britain's first Long-toed being accepted as a Least Sandpiper for many years, until the record was re-assesed. Whilst this is a reasonably common vagrant, the stint remains a major rarity, with only two British records.